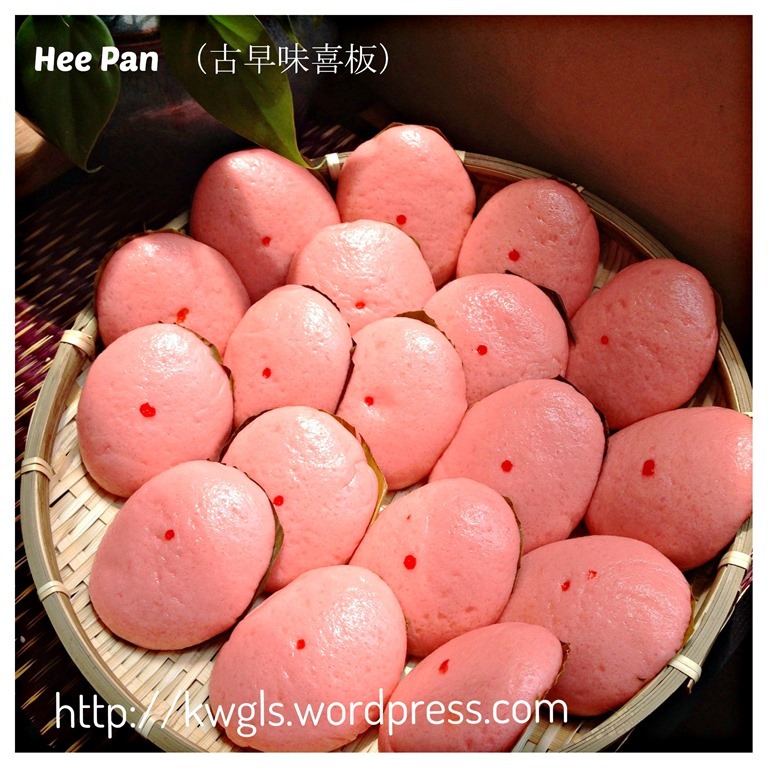 I was rather confused about this Chinese steamed rice cake called Hee Pan or Xi Ban that was doubted as a traditional celebration cake for Hakka descendants. 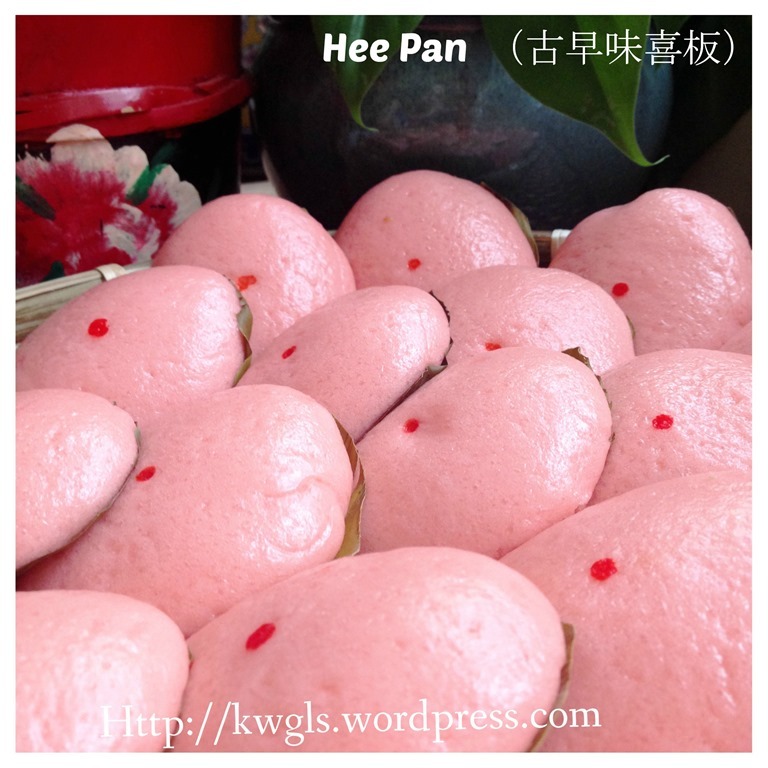 However, two of my sister in laws and my wife’s auntie who are Hakka’s have never heard of this special cake. In addition, none of my Hakka friends in Singapore have heard of it either. Apparently, it is not common among the Hakka’s in Singapore and East Malaysia. 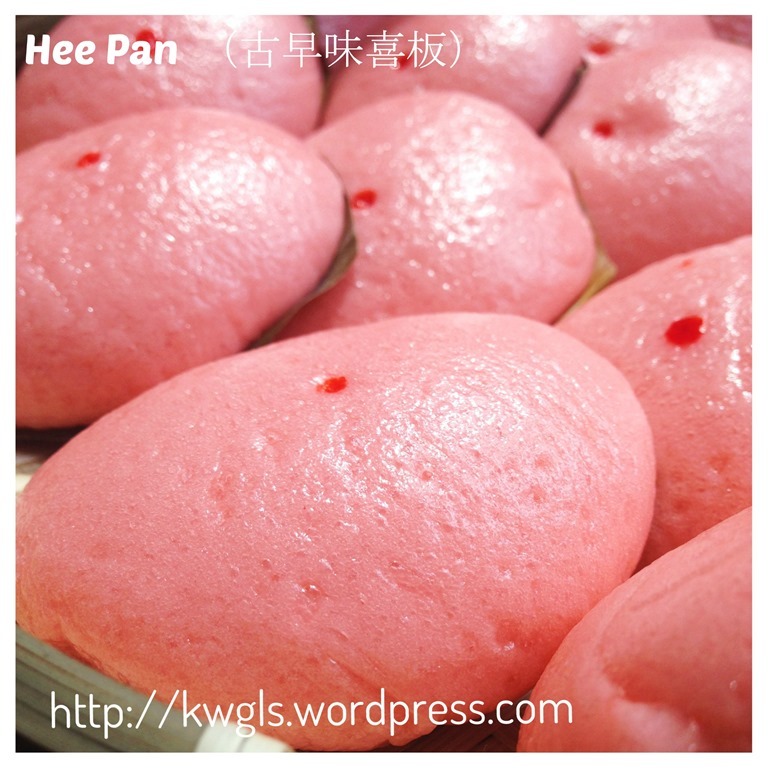 I was subsequently told that this is also called Ki Ka Ku steamed buns or 3K steamed buns. However, I have never heard of such name before I issued the post and neither do I know the Chinese name of Ki Ka Ku.. But it is a very popular night market snack in West Malaysia. When I posted a few photos in a West Malaysian Facebook Group, it was very well received and members are requesting for recipes. Unlike my other post, I have very little to share about the background of this popular West Malaysian snack as there are very limited written literature on this. 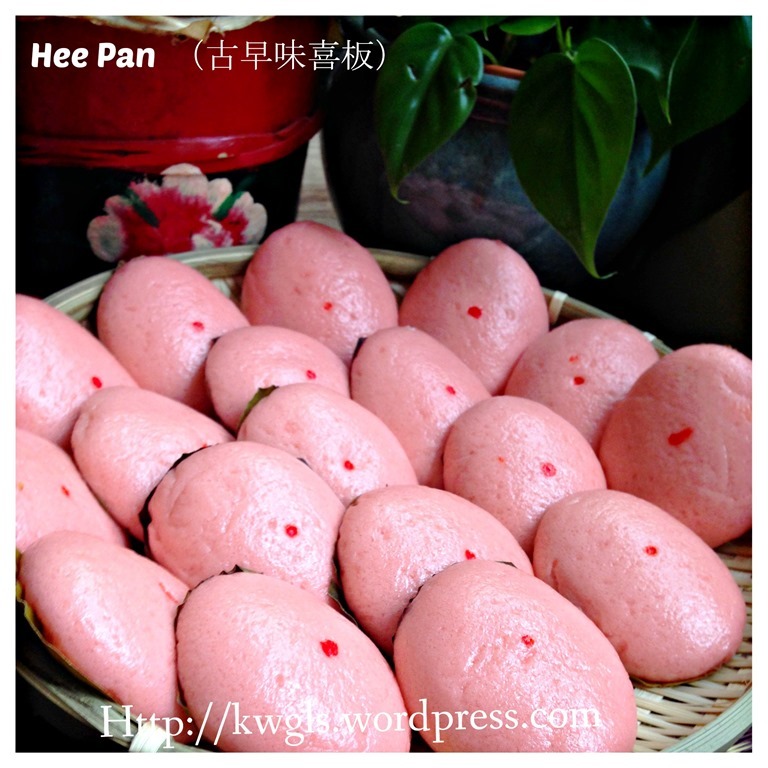 What I understand is this a type of traditional Hakka steamed rice cake usually prepared during important ceremony and festivals such as marriage and birthday celebrations. The cake are supposed to be springy or chewy, sweet and yeast flavoured. 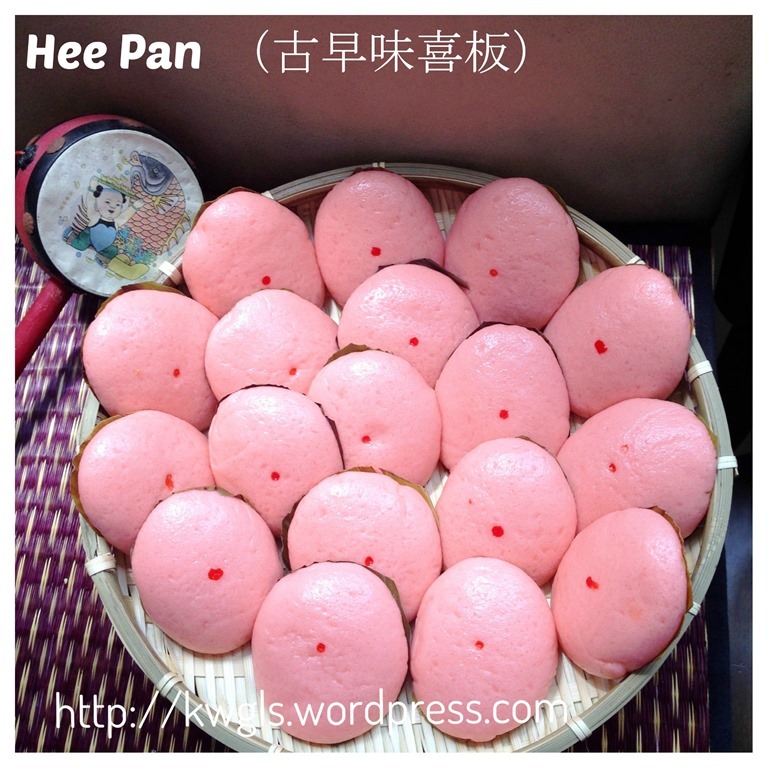 This is expected as the main ingredients are wheat flour, sugar and glutinous rice flour. Personally, I like it very much. My girl have requested a piece after she had her lunch and she concurred with me that it is a nice special type of “bread” as she put it. 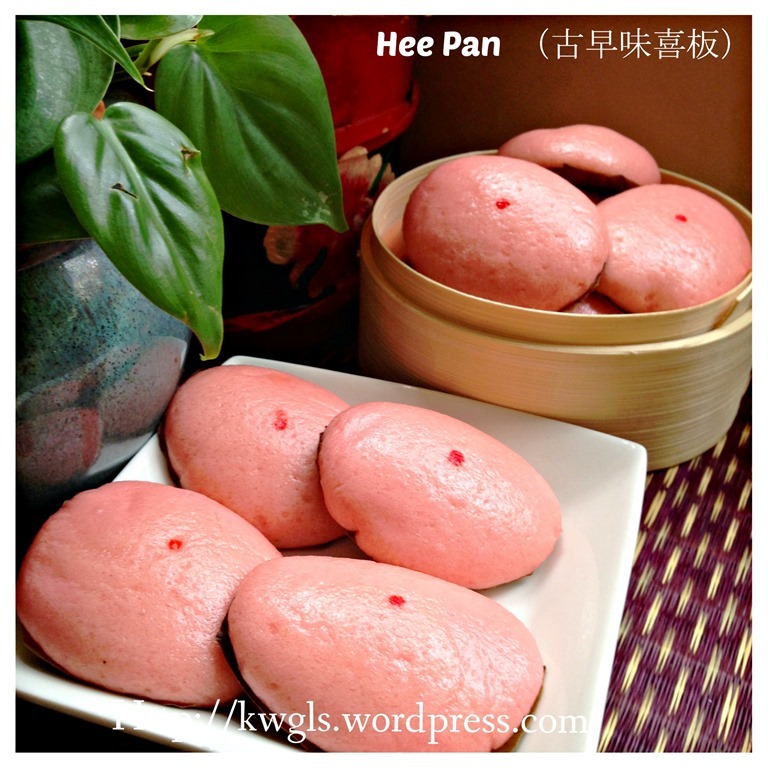 While I know there are many variants of this Hee Pan recipe that uses sweet potatoes, pumpkins or pandan, but I purposely chose one that is of original flavour and as traditional as possible. 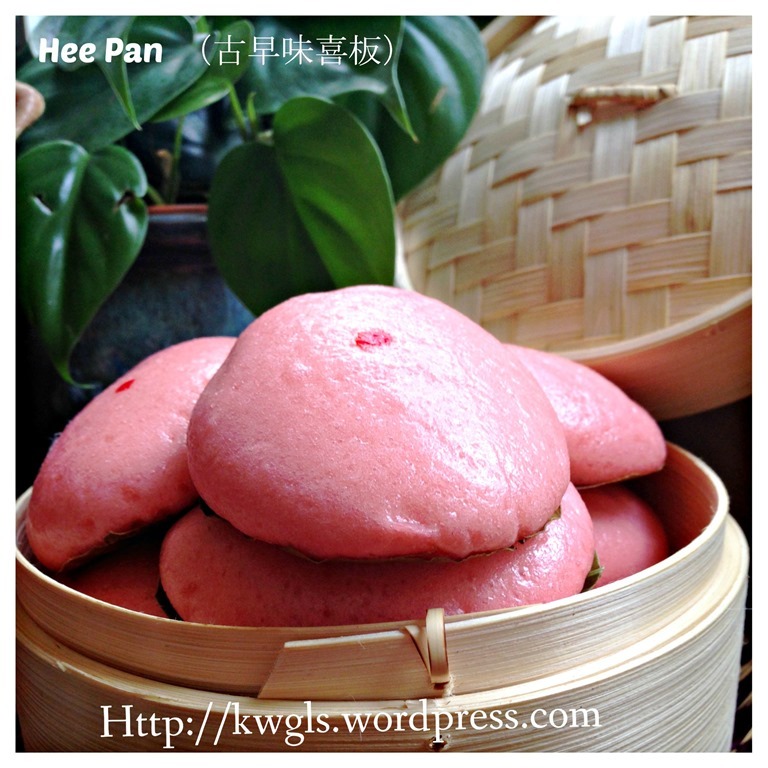 I stumbled across this recipe from Stepwongkitchen.blogspot.sg. After I read the ingredients, I have decided to give it a try. A steamer with water capable of steaming at least 15 minutes under high heat. Put all dough ingredients in a whisking bowl. Add the water and use a tablespoon to lightly stir in until a dough is form. 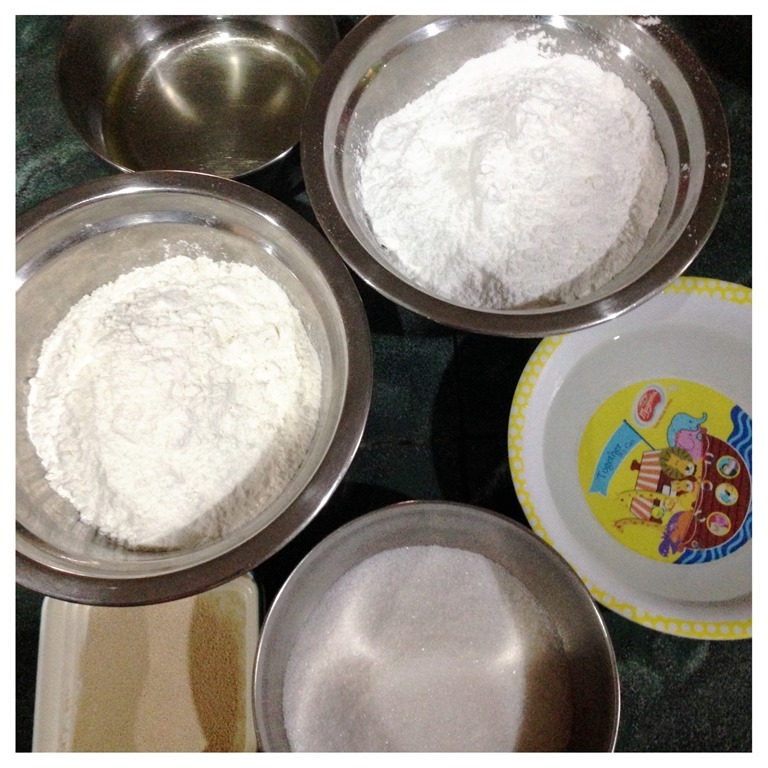 Transfer to a stand mixer and knead under medium speed until the dough is smooth (about 10 minutes)。 Note that unlike bread making, this process is to ensure all ingredients are well mixed and not to ensure that gluten structure is formed. 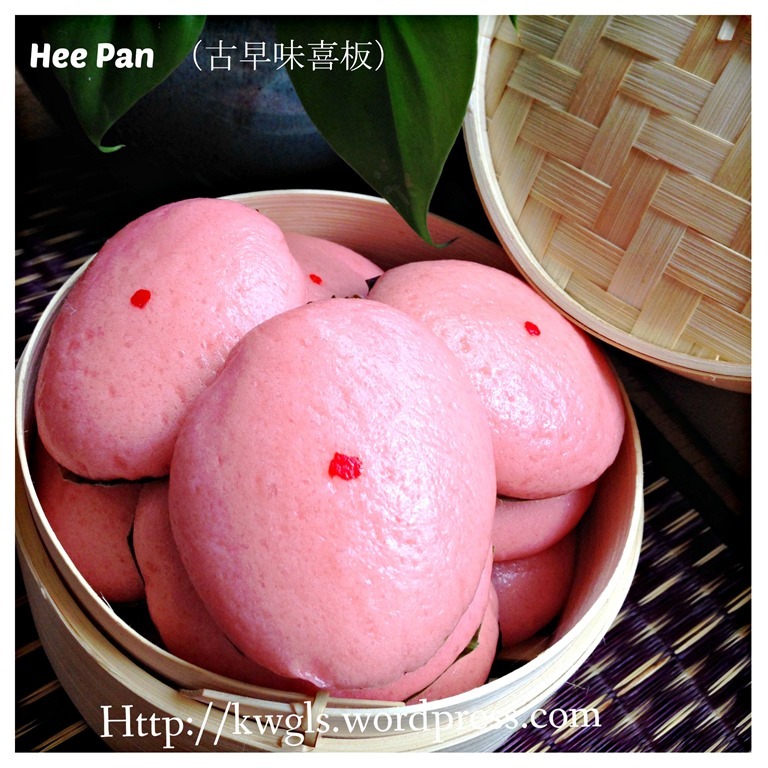 Alternatively, you can use hand to knead until the dough is smooth which is also rather fast as this is glutinous rice flour. Once done, divide the dough into 15 equal portions of about 30 – 40 grams each. Take a portion of the dough, shape it into a ball, place on top of a piece of banana leave and press it until it is about 1 cm thick. Perform the same for the remaining 14 portions. Put in the steamer tray and let it proof until double in size which may take about 45 minutes to one hour. In the process of proofing, cover it with some clingy wrap or a piece of wet tower. When the dough double in size and become smooth, get ready the steamer. Bring the water to boil under high heat and transfer the steamer tray to the steamer. Steam for 12-15 minutes. After 15 minutes, off the heat, and let it rest in the steamer for 5 minutes before taking the Hee Pan out of the steamer. Cool in a wire rack or place the hot Hee Pan in a piece of newspaper. 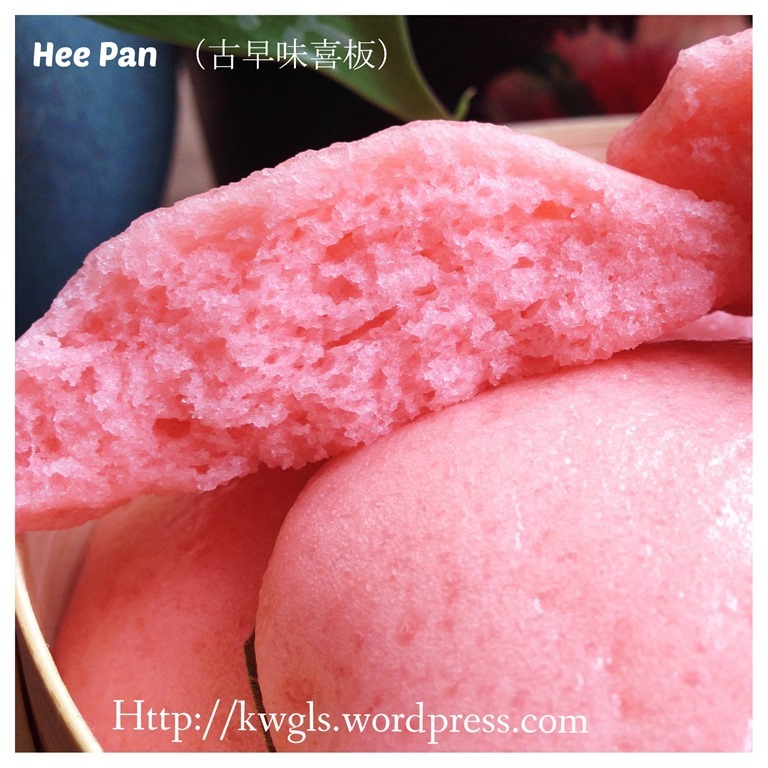 The purpose is to let the newspaper absorbs the water under the Hee Pan due to condensation. Best served hot as a snack item or breakfast item when hot. I have purposely choose this recipe because of its simple ingredient. 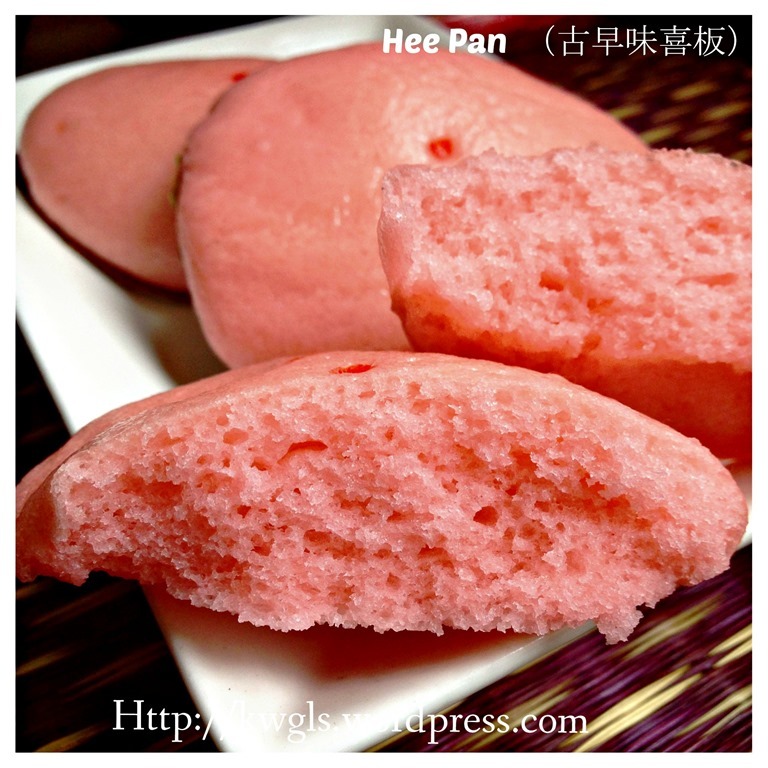 I would considered that this is a successful steamed cake as the surface are smooth, it is not wet in the bottom, it is chewy but not sticky… If you are looking for a traditional recipe, may be this is for you. If you are a Pinterest user and you are interested to have more recipes, you can join or follow this Pinterest Board set up by me where there are more than 1800 recipes worldwide and pinned by various bloggers: FOOD BLOGGERS AND FOODIES UNITED PINTEREST BOARD. You can also join the Food Bloggers and Foodies United Group Facebook Group to see more recipes. Currently there are about 4500 members sharing various food photos . I would be more than happy if you can post in Groups for the recipes that you tried from Guaishushu’s blog. 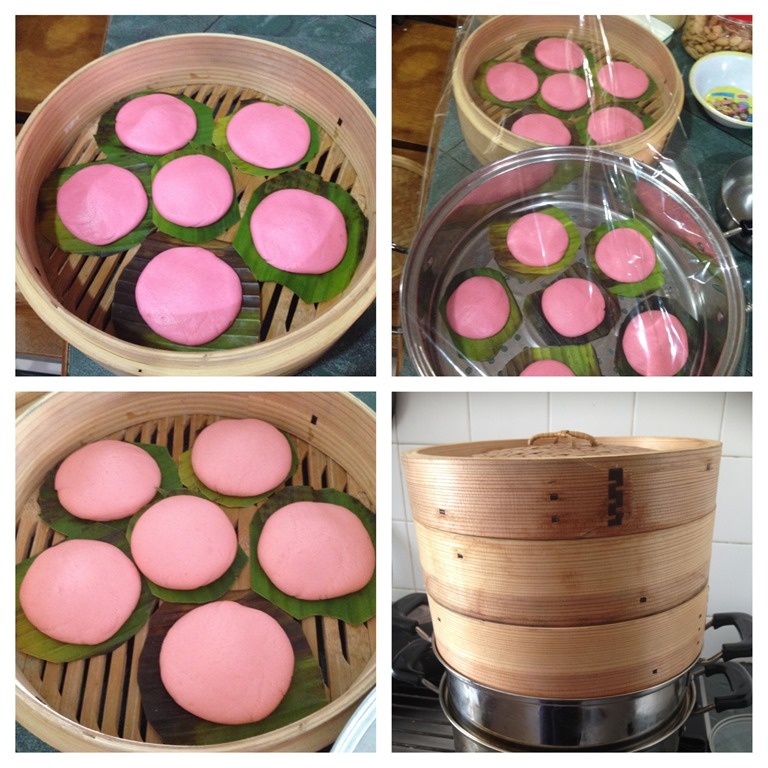 This entry was posted in Chinese and Asian Cakes and Snacks, Food Preparation Series and tagged 3k steamed buns, 8 postaday, GUAI SHU SHU, Guaishushu, Hakka Hee Pan, Hakka Kuih, Hee Pan, kenneth goh, ki ka ku, kikaku, KKK steamed buns, see pan, Steamed Sticky Rice Cake, Xi Ban, 古早味喜板, 喜板. Bookmark the permalink. enjoy trying your receipe very much . 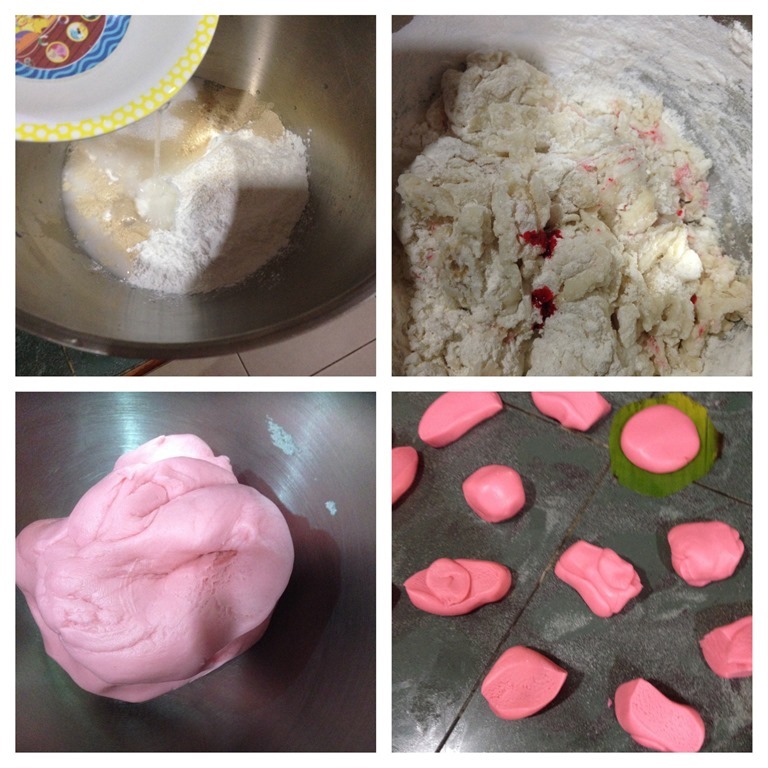 Hope to have yr fluffy man tou receipe miss yr posting. Thanking you in advance.